How did Neerja Bhanot’s life move you? 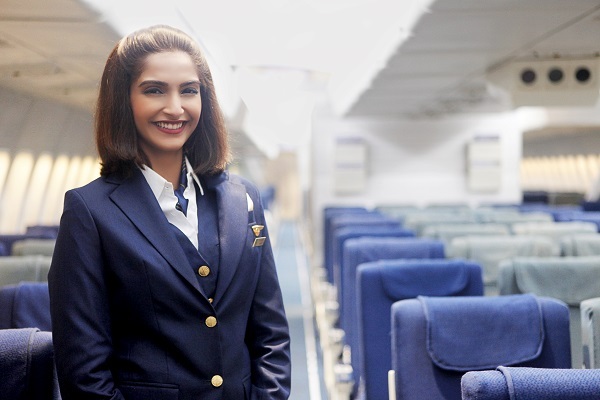 Neerja, as a character, as a human being, is very inspirational. She was an ordinary girl with qualities that are exemplary – of leadership, compassion, patience, kindness, bravery, principles, and standing up for what’s right. She showcased all these qualities during the 17 hours that she was on the PanAm flight in 1986. So for me, telling her story was extremely important. For the title role, what preparations did you do to get under the skin of Neerja who was a real person? It is always difficult to understand the soul and capture the essence of the character, especially when it is based on a real person, because there are preconceived notions of how the person was. Her image is etched in her family’s heads, in her friends’ and co-workers’ minds – as opposed to any imaginary character that you are likely to play. The easy part of playing a real person on screen is that the backstory, that as actors we tend to imagine, is already written – the way she spoke, the way she looked, the way she walked. It was all there for me; I just had to mimic it. But, it was difficult to capture her essence and I have tried my best to do that. You can judge for yourself. 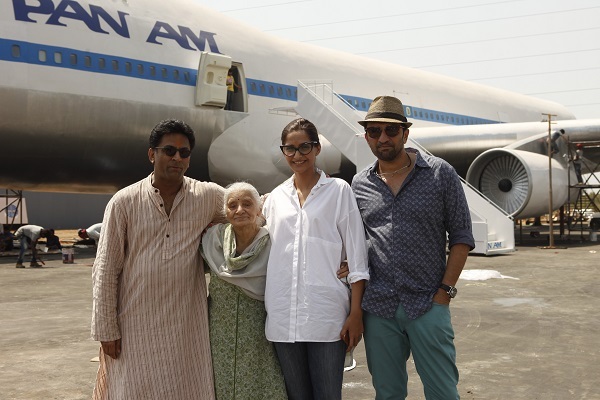 What is her family’s reaction to the film — and you playing Neerja? They haven’t seen the film yet. Her family let us do the film because I was playing Neerja. Rama aunty (Bhanot, Neerja’s mother) had to approve of me, so I went to Chandigarh to meet her. She, for some strange reason, likened me to her daughter, and now we’re here. How would you personally define bravery? For me, bravery is when you act in the face of fear. Who would you say is the bravest woman you have met in your life? Neerja, though I haven’t met her. Three women who you would say are icons for you…. Neerja Bhanot, Mother Teresa, Sarojini Naidu. Not learning from my mistakes scares me. Do you recall a situation where your parents have been worried about you? They’re constantly worried about me! If pushed into a corner, in a challenging situation, though perhaps not exactly like Neerja’s, how would you react? I react instinctively. And my instinct is always to fight. So I don’t know what will happen to me. A role you have played that has been closest to your heart? A character you have played who has been most like you….